WESTMINSTER, Colo. -- A shooting in a Denver parking lot Thursday that killed a boy and left his brother and mother in critical condition appears to be related to road rage, police said Friday. The shooter fled the scene after the incident around 3 p.m., and was arrested hours later in Castle Rock, reports CBS Denver. Police have identified the suspect as 23-year-old Jeremy Webster and say he's charged with murder, assault and criminal attempt to commit a felony. "Through our investigation we have been able to determine the suspect did not know any of the victims and did not have a relationship with any of them," the Westminster Police Department said in a statement. "It appears as if this incident stemmed from a road rage." A search warrant released Friday says Webster agreed to a police interview after being arrested Thursday. The warrant also says Webster told police he has mental health issues, but it doesn't provide specifics. According to the warrant, a child who witnessed the shooting of his siblings and mother told police that his mother and another driver were involved "in some type of road rage incident." 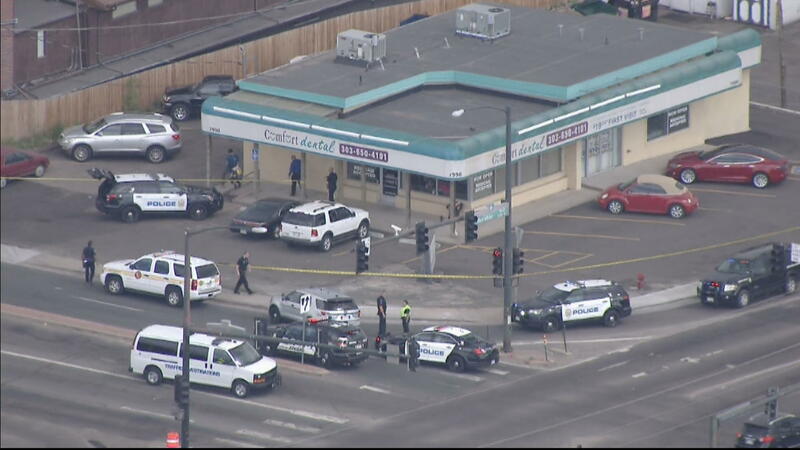 Officers who arrived at the scene found four people with gunshot wounds in a business complex parking lot in Westminster, which is about 14 miles northwest of Denver. CBS Denver reports that James Sisneros lives just a block away had just dropped his daughter off at a neighboring dental office when police sirens started blaring. "There was a gentleman who was there he had a gunshot wound to his chest they were working on him profusely," Sisneros said. Police cordoned off the parking lot of the Comfort Dental office as well as the neighboring parking lot of the Cedarwood Square Office Complex.